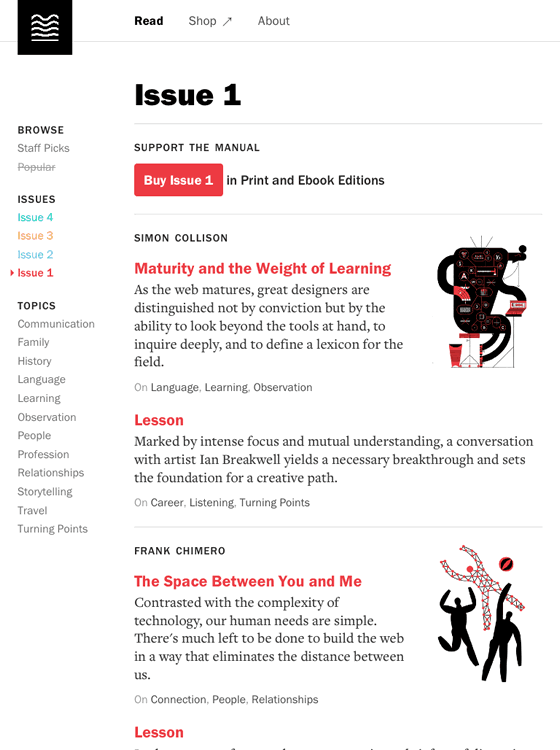 We worked with Andy McMillan to expand the reach of his print-only design journal to all devices, everywhere. 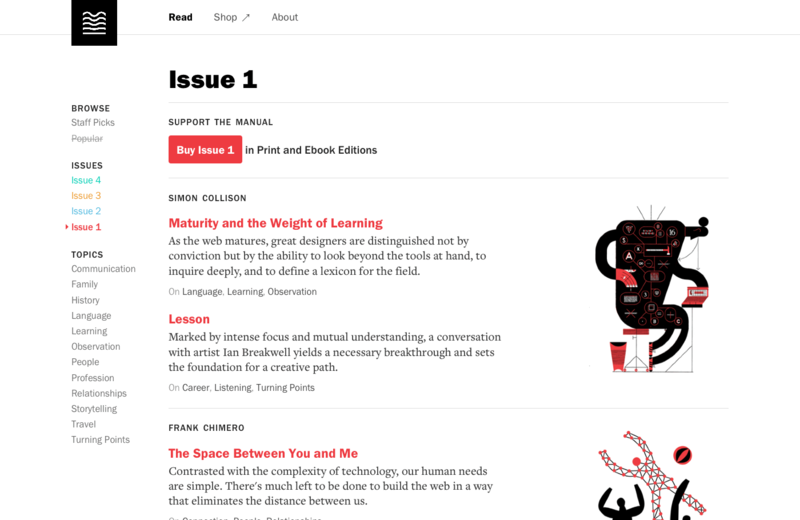 After the successful kickstarter campaign — The Manual, Everywhere — we worked with designer Paulo Periera to build out a fast & scalable back-end system to allow the editors to easily publish and manage articles and issues across all platforms. Built with the latest Ruby on Rails release we were able to implement an advanced caching system further increasing the speed of the site. We worked to import sales and subscriptions data from two other systems and introuced a novel password-free login system to lower the administrative and support load. You appear to be running an old browser. 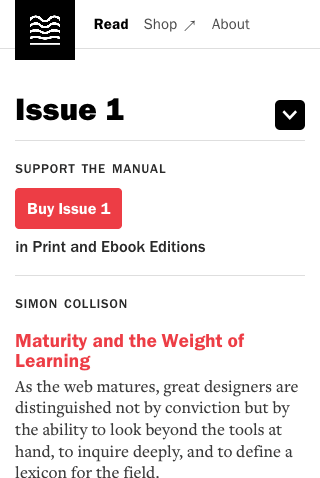 Your experience of the web may be suffering. Find out more.